We have a pool of experienced and highly-skilled tech support outsourcing experts capable of communicating technical knowledge to your customers accurately. Our representatives are well trained and specialized in providing technical support over email and live chat. Josoft have efficient and tech savvy agents who can offer all the technical assistance customers require regarding clients' products/services. Our representatives are well trained and specialized in providing technical support over email and live chat. The goal of technical support service is to provide product information, product use information, and technical assistance on web sites that are accessible 24 hours a day, 7 days a week. This role is expanding as firms seek to outsource a greater breadth of solutions to a fewer number of service providers. The help desk has now become a hub of the enterprise, delivering greater value to the business as a whole. Your benefits in outsourcing technical support services to Josoft. 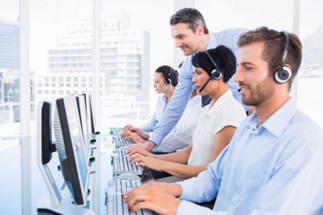 You get a dedicated team of call center agents who work on a 24x7x365 basis.